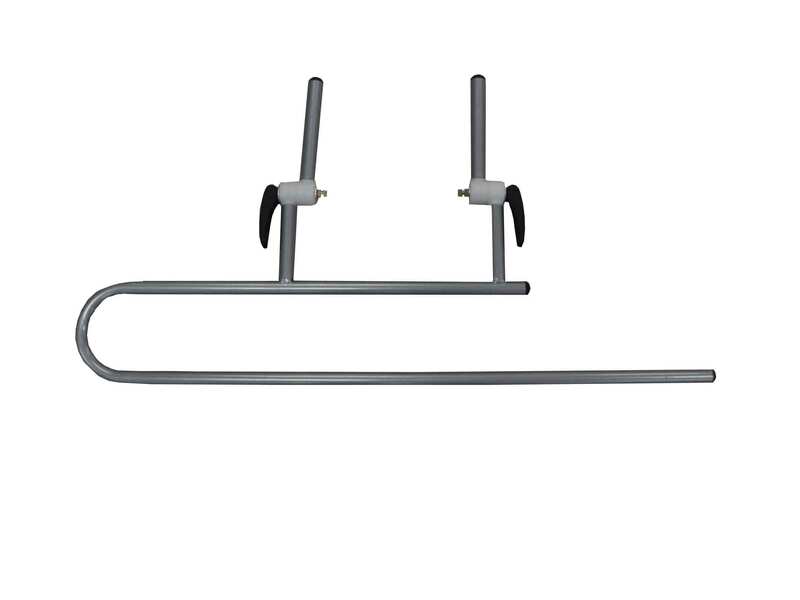 Medium size suits Tables up to 182 x 62 cm. Features: White. 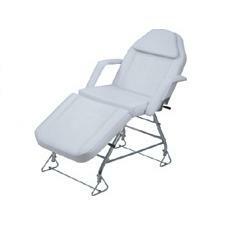 Unlike most Beauty triangle leg Beds this one is adjustable (2 heights) - front and back heights can be set independently. 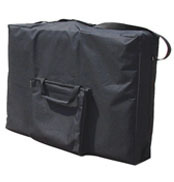 Removable insert pillow in Face hole, removable arms, spring loaded lifting / lowering mechanisms for back and legs. All chrome steel frame. Packed disassembled. 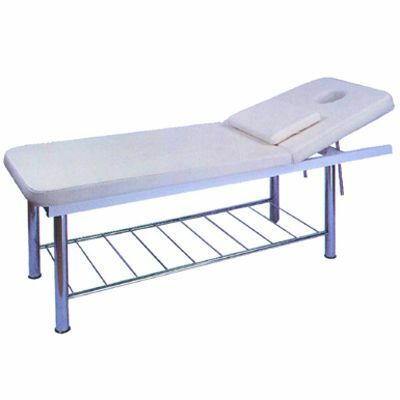 Features: Beauty Beds with white vinyl upholstery, adjustable back and chrome metal finish. Because of the heavy gauge steel used these are very sturdy Beds. Convenient lower storage area. Packed disassembled.